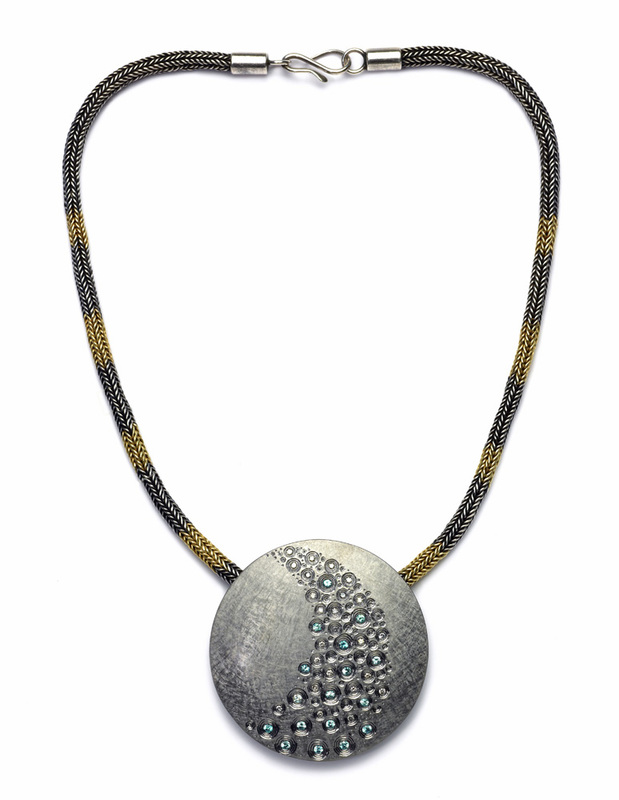 "CASCADE" PENDANT 2009. Commission piece for use with existing hand knitted sacred knot chain acquired some 10 years previously. ( silver and green gold ). 60mm diameter. Silver hand engraved, finished in grey rhodium, set with pale blue zircons and grey diamonds. Photo : Simon B Armitt.